And my first alliterative post title. And my first time using Mod Podge! 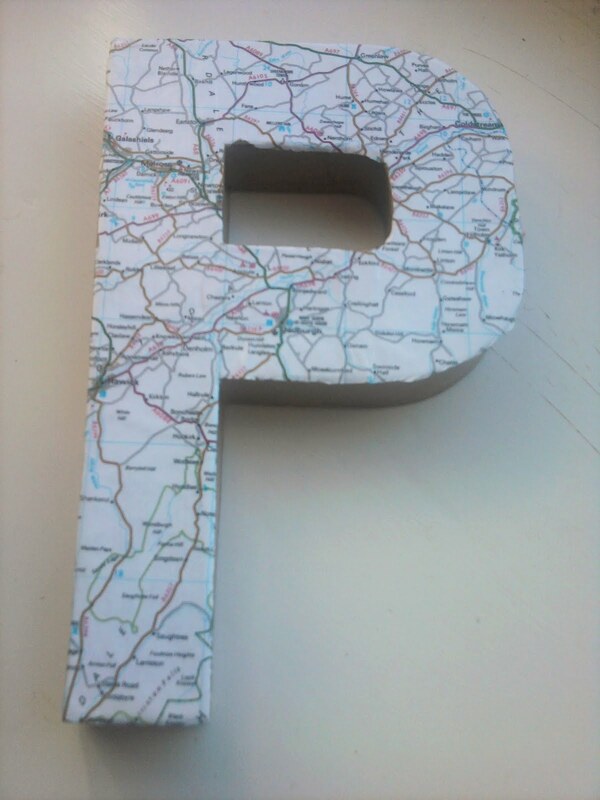 Letter, Mod Podge and Map. My map is of an area of Scotland where Andy and I went on our honeymoon. 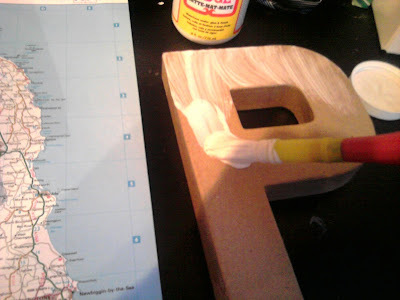 Brush on the Mod Podge with what may or may not be Izzy's paint brush. 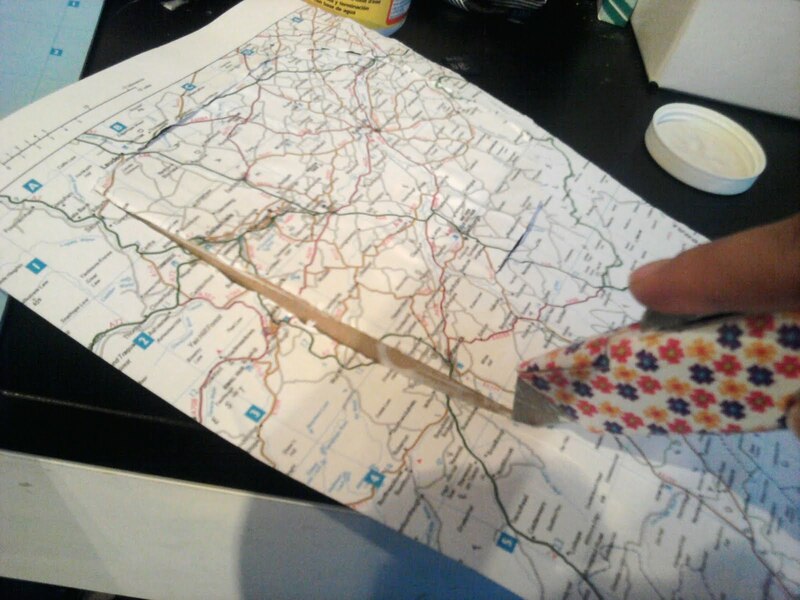 Lay over your map, smooth out any wrinkles and trim around the edge. Or you could wrap it around the sides and then trim. 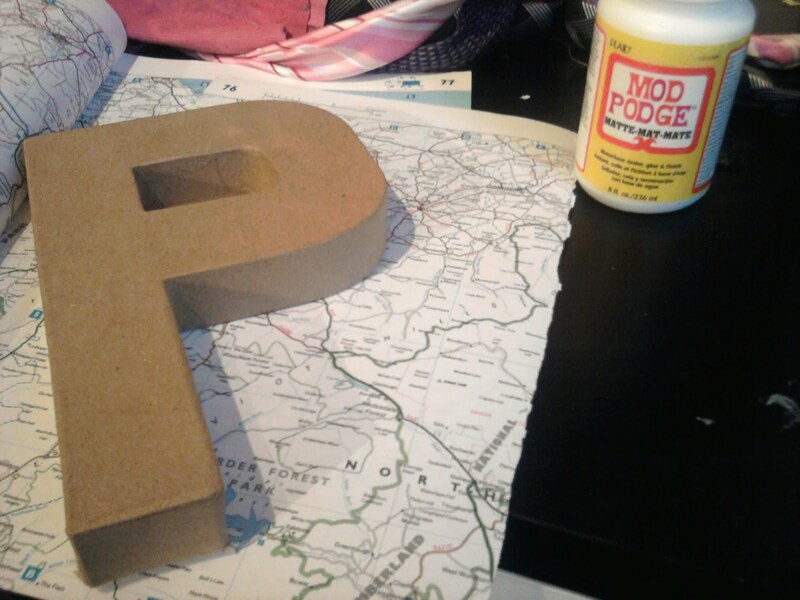 Then seal it all with a layer of Mod Podge. Preferably next to a soppy wedding day photo in which you look about twelve. I also recently discovered Sharpies! I luv this! I recently picked up a big old road atlas for $1. I bought it for its saddle tan leather cover, and then became intrigued with the maps. 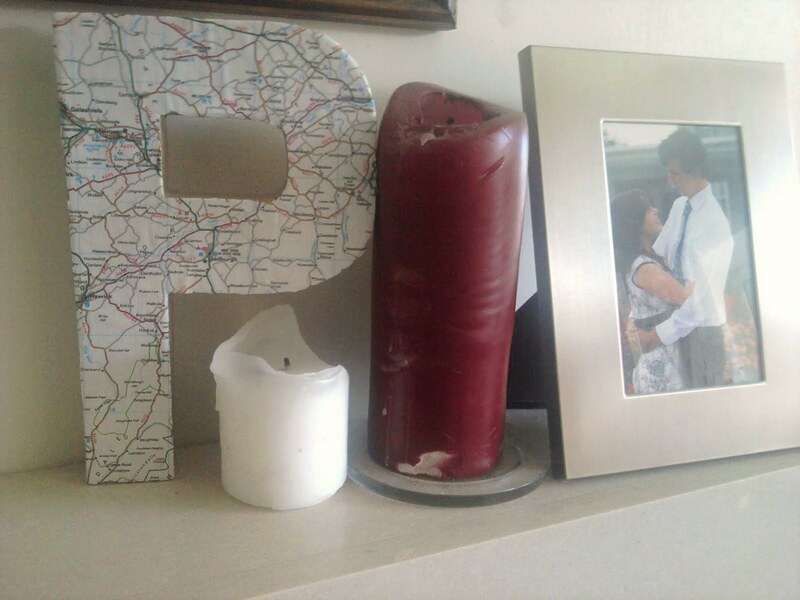 This is a SUPER idea--especially since I collect world globes and can use something like this as part of that display. 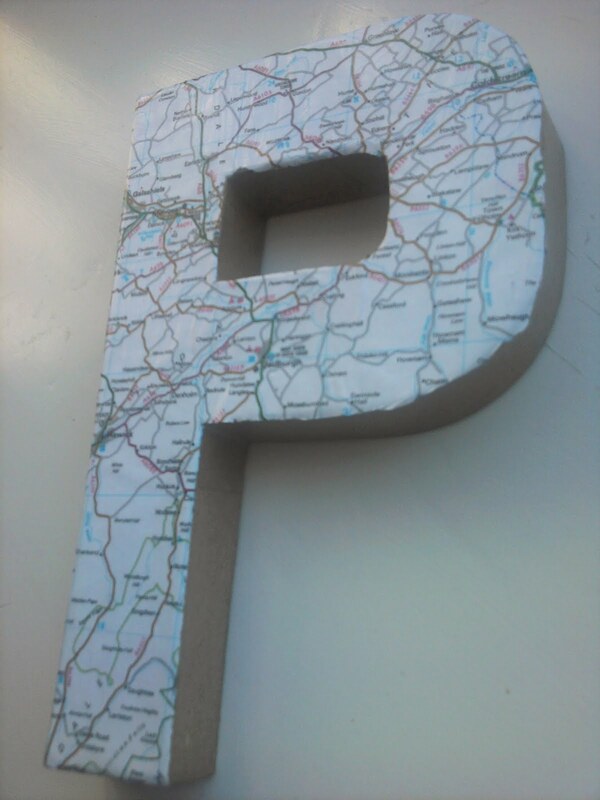 I love maps and this is an idea I have not seen before. Thanks so much for sharing! I love the map idea. I am working on redoing our game room with a map theme and I love this idea! Thank you so much for sharing your post at Savvy HomeMade Monday. I hope you will come back and party again! so cute! What a great idea! Thanks so much for linking up to Tuesday Talent Show! I would love to have you stop by and link up again with more great projects!